The Third China-UK Innovation & Development Forum was held in Guangzhou on November 1st, 2018. Notably, this bilateral policy and strategy meeting was held for the first time in China. This year, the forum was co-organised by the University of Oxford’s Technology and Management Centre for Development (TMCD) alongside several major institutions from China and the UK. 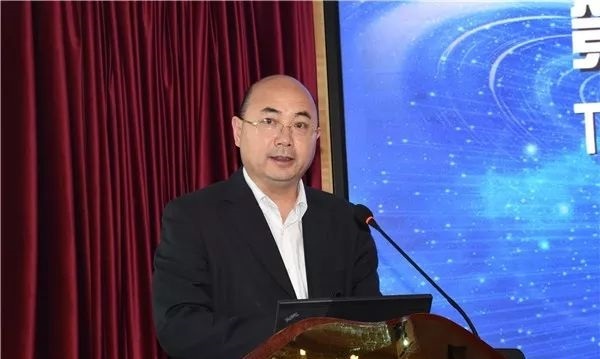 These included the Guangdong Academy of Sciences (GDAS), the Chinese Academy of Sciences’ Institutes of Science and Development (CASISD), the Chinese Academy of Science and Technology for Development (CASTED) and the China-Britain Business Council (CBBC). More than one hundred participants attended the forum including senior officials, academics and STI industry practitioners. 15 keynote speakers from government institutions, research institutes and enterprises in China and the UK was also featured at the forum. Speakers included: Maicun Deng, Secretary-General of the Chinese Academy of Sciences; Ruijun Wang, Director General of the Department of Science and Technology of Guangdong Province; Deputy Director of the Guangdong Provincial Department of Science and Technology; Frances Hooper, Counsellor of the British Embassy in Beijing,;Professor Xiaolan Fu, Director of the Oxford TMCD; and Jiaofeng Pan, President of CASISD. The forum provided a platform for participants to exchange views on China-UK national innovation systems, innovation policy making, innovation environment optimization, the role of research institutes and enterprises in the innovation system, collaboration between academia and industry, the development of artificial intelligence technology and its impact among a host of other STI related issues. Professor Fu noted that China and the UK are highly complementary in the field of scientific and technological innovation. Sino-British innovation cooperation should not only be confined to domain of scientific research, but extended to the entire chain of the innovation process, starting from basic research to downstream industrial application. She emphasized that a comprehensive science and technology innovation policy coordinates linkages within the entire innovation ecosystem. Ultimately, Profesor Fu hoped that the forum continue to contribute to the policy recommendations of the Chinese and British governments and to fostering linkages within the international community of academics and STI industry sectors.